$450 annual fee partially offset by $300 annual credit for airline incidentals and $100 discount on domestic multi-passenger round-trip ticket purchases. Free breakfast and/or lounge access will be available at all resorts and most hotels (see this post for details). If you sign up for the Ritz card before August, you will get Marriott Gold status which will convert to Platinum Elite status in August. That status will then last until Feb 2020. If you sign up for the card in or after August, you’ll only get Gold status in the new program. If you signed up for the Ritz card last year or earlier, make sure to spend $10K on the card before August so that you will get Marriott Gold status which will convert to Platinum Elite status in August. That status will then last until Feb 2020. If you complete the $10K spend after July 31, you’ll only get Gold status in the new program. If you spend $75K on the Ritz card before August, you will get Marriott Platinum status which will convert to Platinum Premier Elite status in August. That status will then last until Feb 2020. If you complete your $75K spend after July 31, you’ll only get Platinum Elite status in the new program. While I don’t think that too many readers will seriously consider spending $75K on the card before August, I do think that the ability to get Gold status (then Platinum Elite status) without spend (or with $10K spend for existing cardholders) is well worthwhile. The irony about all of this is that Ritz is one of the few brands that fail to offer any meaningful Platinum Elite benefits. But if you get Platinum status through the Ritz card, you’ll enjoy the status perks pretty much everywhere except at Ritz hotels. This is where things get really good. The signup bonus of two free nights at Tier 1-4 Ritz hotels is nice if you happen to have plans to visit a qualifying Ritz within the next year and if you don’t mind the fact that you won’t get any meaningful elite benefits during your stay (no free breakfast for you). But Marriott has asserted that free night certificates earned before the August merger will be converted into their point equivalents. Tier 4 Ritz hotels cost 60,000 points per night, so I believe that, in August, those with Tier 1-4 Ritz certificates will be given new certificates good at any Marriott / SPG / Ritz property that costs up to 60,000 points. Between August and early 2019, it will be possible to book any Marriott / SPG / Ritz property worldwide for 60,000 points per night or less. This means that it should be possible to use your two free nights at literally any Marriott / SPG / Ritz property worldwide as long as you book between August and early 2019! Personally I’d much rather use those free nights at top end St. Regis properties where I would get elite benefits like free breakfast than at a Ritz hotel. Wouldn’t you? One downside of achieving Platinum or Platinum Premier status through the Ritz card is that you won’t earn Suite Night Awards. Those choice benefits are awarded when you reach 50 elite nights and again at 75 elite nights. Since this is an alternative to earning status via nights, it won’t trigger the choice benefits. Of course if you earn 50 and/or 75 elite nights anyway, you will get the choice benefits, but then there’s no point in using the Ritz card to get status. You can read more about Suite Night Awards here. The Chase Ritz card is not subject to 5/24 so you can get approved even if you’ve signed up for 5 or more cards in the past 24 months. Of course, once you are approved, it will add to your 5/24 count. The combination of high level status and soon-to-be-super-valuable free night certificates makes the Ritz card highly desirable at this time. On the other hand, signing up for a Chase card could be risky if you often open cards and/or manufacture spend. See this post for details: Why Chase shutdowns have increased and how to avoid them. The terms (https://imgur.com/a/iyttCzd) on the Ritz $10K spend for Gold status are not very clear – it sounds as if you’ll get the gold status only 8 weeks after your next account anniversary date, not immediately after you spend the $10K. So if your account anniversary year is after this coming August, I don’t think spending $10K will help you. I met the $10k spend on ritz before my statement closed in June 2018. How do I check that I have been granted gold status by Marriott? I am a platinum elite already due to my linked SPG account. Do I need to call Marriott to confirm or possible to check onlin? Any data points on what non-incidental purchases (i.e. gift cards) work to trigger the $300 credit? I have purchased AA gift cards (in $100 increments). It is true that you have to call in to get the credit applied (SM may work as well, I just called and had no problem with it). When I had the card, I never failed to get reimbursed for anything as long as it wasn’t a “round” number. The trick is not to get greedy and try to be reimbursed for the whole $300 at one sitting. Numbers like $72.55 work great, but $75 is also fine. Limits on chase cards? FICO well over 800 but I do engage in ms at office stores. What would Greg do? I will easily earn over 50 elite nights this year so the Ritz card won’t help me with respect to status. So I decided that two free nights is not enough incentive to risk my Chase relationship. If I didn’t have an easy way to get new Marriott Platinum status, though, I probably would go for it. So I’m over 5/24, but if I apply for the Ritz through CPC would that guarantee I get it? U must b Rich oh my God another one . so if I’ll get R-C card at the end of July and will do $4k spending in 90 days I will NOT get those nights converted under old rules ?? We don’t yet know for sure. Based on our conversations with Marriott, we expected that they would be converted to 7 night certificates with roughly similar values. For example, a Cat 1-5 certificate today is valid at a hotel up to Cat 5. Cat 5 hotels normally require 25K per night. In the new program, Cat 4 hotels cost 25K per night — so we would expect that the 7-night Cat 1-5 certificate would become a 7-night Cat 1-4 certificate (not really a devaluation despite the number looking lower since it’s likely to be mostly the same hotels in Cat 4 in August that are currently in Cat 5, with some exceptions I’m sure and also with the expansion of some SPG properties). There has been a rumor as of late that the certificates would instead get converted to points. If that were to happen, we don’t know what those totals would be. Just to confirm – Gold status obtained from having this card will match to the new Platinum, but having Gold status by way of the American Express Platinum card will only match to Gold? Thanks again Greg! Quick question here, if I already have Marriott Gold matched from American Express Platinum, am I too late to apply for Ritz Carlton just to get it matched to Marriott Gold that is eligible for platinum in August? Thanks! You are not too late. The matched status won’t affect you. Appreciate it Greg – if I apply for Ritz-Carlton card now, is there anything I need to do to make sure I get marriott platinum in August, or it converts automatically? I would like clarification on this point also. Got approved for the card today on 8/3 (applied on the last possible date in late July). Is it true that I currently have Marriott Gold Status? Will it convert to the Platinum Elite status in the new program once it begins on 8/23. Is this accurate? Also is the status valid for 1 year or until Feb 2020? Have you logged into your account to see if you currently have Marriott Gold status? I imagine you don’t yet (it takes a couple of days to show up), but the best way to confirm whether or not you have it is to log in and check. The new program begins on 8/18. Yes, it will convert to Platinum through February 2020. Nick, I just spoke to a supervisor. She said that Gold elite status granted only due to having the Ritz Card will not be mached automatically to platinum elite, but only Gold elite status earned through stays will be matched. Can you confirm? Marriott has reconfirmed with us multiple times that if you have Gold status from the Ritz card right now, it will become Platinum status in the new program — though that’s only for the first year. In subsequent years, you will only get Gold. So we won’t have it until February of 2020? Yes, you will. Search the comments on this page for all of the references to “February 2020” and you will see at least a dozen. You earn status in 2018 for the 2019 year. If you have earned Gold on the Marriott side in 2018 (which includes either staying 50 nights during 2018 or getting Gold from the Ritz card before August 18th) gives you status for the rest of 2018 and the entire 2019 loyalty year. Loyalty programs do not work on a calendar year – status always ends a few months into the new year. So the 2019 loyalty year for Marriott ends in February 2020. Greg — I have the Ritz card. How confident are you that the $10k spend will get me Plat for 2019? Also, just to be clear, I also have the Amex plat but that won’t help me for 2019 because my current gold is only good to get plat for 2018? Thanks for looking into this Greg. I think with June estimated tax payments coming up for many this would make a lot of sense over other options if the status lasts until 2020, for those of us who otherwise wouldn’t get status. Basically $190 for 10k Marriott plus Plat until 2020. Thanks! In a crowded world of travel blogging, your stuff is indespensable. Based on my current nights between SPG/Marriott, I will have earned gold by August. If I read your post correctly, I should then be converted to Platinum good through Feb 2020. Is this correct? Do you know if RewardsPlus with United will continue to equate Marriott Platinum to RewardsPlus Silver? I have had a RC card for a few years now. Does the spend $10k by August for platinum also apply to current card holder? Can current card holder spend the $10k by EOY yo have this benefit. Thanks again. Your column is super helpful. The $10K spend by August really only applies to current cardholders. If you’re a new cardholder, you get current Marriott Gold in year 1 without any spend (which will be converted to Platinum on August 1st). If you are an existing cardholder who signed up before 2018, you would need to spend $10K before August 1st so that you get current Marriott Gold that will convert to new Marriott Platinum. If you do the $10K spend later in the year, you’ll just get new Marriott Gold. I have a follow up question regarding this. I opened Ritz Carlton card back in 12/2016. I did spend more than $10,000 during the first year. So gold benefits were renewed when I paid annual fee in 12/2017. My current Marriott gold status expires in 02/2019. You said all current cardholders need to spend $10k before Aug2018. Was this officially announced from Marriott or Chase? Because I feel like they are terminating the gold benefits in middle of the year. If that is true, someone who opened the card in June 2017 don’t really enjoy the gold benefits during their second year (even though they met the $10k requirement in year 1). For instance, if they opened RC card in June 2017 and spend $50000 in year one, gold elite tier will be renewed this June 2018. Then they will lose gold tier if they don’t spend another $10k before July31, 2018? This doesn’t make sense. Based on 8/1/2018, whoever has Marriott gold at that time through RC card (either it is a new card member or renewal through spending). Won’t they all be converted to Marriott Platinum? Ok – my apologies for not being clear. I can see how it might have been confusing with those scenarios. The answer to your final question is yes: if you got your current Gold status from the Ritz-Carlton credit card, you’ll get the new Platinum status in August. In the interest of clarity, let’s define status. Current Marriott Gold normally requires 50 nights. New Marriott Platinum, starting August 1st, normally requires 50 nights. So let’s call it Marriott 50-night status. As of today, the Ritz card comes with Marriott 50-night status in the first year and under the current benefits, you get 50-night status in each subsequent account year where you spend $10K. However, starting on August 1st, it (theoretically) comes with 25-night status in the first year and 25-night status when you spend $10K (we’ve been told that completing the spend after August 1st will only give you 25-night status). Therefore, the goal is to get the 50-night status before August 1st so that you maintain 50-night status when the programs transition. There are two distinct scenarios at play. 2) You opened an account before 2018. You must get 50-night status before August 1st, so you need to spend $10K during your account year and by July 31st at the latest to get current Ritz/Marriott Gold status, which will become Marriott Platinum on August 1st. So in your example, the person who opened in June 2017 and spent $10K+ before renewal in June 2018 would have current 50-night status — that person would get converted to 50-night status in the new program (new Platinum) on August 1st. Does that make sense? In your personal situation, however, you said that you opened the card in December 2016 and completed $10K by December 2017 and as a result you currently have 50-night status (current Gold) through 2/19. Based on that, you should get 50-night status on August 1st (new Platinum) that expires in 2/19. I think you would need to spend $10K by July 31st in order to extend your 50-night status through 2/20. We have reached back out to Marriott to reconfirm that this is correct (an expiration of 2/20 if you complete your spending before July 31st). Its easy to understand now. Have a good evening ! So what if I got the card in December 2017? I’d still have gold in August from that right? Will it extend to 2020 or do I need to spend the $10k? I have started working towards them already but it sounds like I may not have to? Thanks! My guess is that you were given Gold status when you opened the card in 2017, which carries through the 2018 period. I expect your situation is akin to someone who stayed 50 nights at Marriott in 2017 and didn’t stay at all in 2018 — so you have status for the 2018 year (which ends in Feb 2019), not the 2019 membership year (which ends in 2020). I’d expect your status to transition to Platinum on August 1st but still expire in February 2019 as you earned in 2017 for the 2018 membership year. I think you need to spend the $10K. We’re still waiting to get confirmation that spending $10K this year will give Platinum through 2020 rather than Feb 2019. I would expect it to be the same as if someone stayed 50 nights in 2018, but since someone above here got a different answer out of the Ritz line & supervisor, we reached back out to Marriott’s team to be sure. Will update when we hear back. For what it’s worth, my anniversary was in December and I’m going to be in the 36-40 night range between the two programs & credit cards. Still not sure whether I’m going to hit the final 10-14 nights, so I am leaning towards doing the $10K spend by July 31st. Hello, thank you for the great clarification on that question. I am. Recent RC applicant and have met the Min Spend. My account shows Gold elite, I spoke with rep who said I am gold. I want to confirm I will be turned into Platinum in August as I have a bunch of SPG stays in September and would love to have status for them. I have not had any stay at Marriott or Ritz (or even active accounts) at either brand prior to this sign up. I’m not sure what you mean by Gold Elite VS pure gold. Gold Elite is just the name of the status. Yes, your status should transition to platinum in August. Miles, when you qualify as Gold through Ritz carlton card, does your elite nights increase by 50 nights, or do they remain at the number based on your actual stays? I am trying to figure out if completing the requirements has me qualified or not – I am a Plat through SPG and hence do not see the Gold confirmation. My rewards activity also shows nothing, and calling did not help. Thanks!! My nights didn’t increase. All I see if gold elite on my account. Crossing my fingers it transfers to Platinum in new program. No, you don’t get 50 elite night credits, just status. Marriott has reconfirmed a number of times that Gold status from the Ritz card will translate to Platinum status in the new program. The wrinkle for you is that if you’re currently SPG Platinum and you’re not going to have 50 total nights over both programs this year, I’m not sure what will happen. I think you’ve put yourself in the best position possible — now you’ve just got to sit back and wait. I had this card before and closed it in May 2017. I am way over 5/24 (14 cards of my own and a few authorized user cards on my wife’s accounts). Can I apply for it again and will I be eligible for the bonus? The appeal for me is the possibility of getting the 2 free night certs converted to points. I’m eyeing a redemption at a Tier 5 RC after August. Thanks. I received the bonus over 24 months ago. I am a bit concerned about shutdown stories from people in my situation. Any thoughts on that? Yes — see the “Cautions” paragraph at the bottom of the post and the post linked in that paragraph about Chase shutdowns. To each his own on determining his/her relative risk and risk tolerance. Greg, what’s your take on the email wording from the Marriott team regarding earning Platinum with Ambassador service? Their email states that if you have current Platinum status plus 100+ nights, you’ll be converted to Platinum WITH Ambassador service. However, if you look at the website to see how you’ll qualify for the same Ambassador service AFTER the merge, it states you’ll have to stay the 100+ nights PLUS spend $20k annually (assuming that’s on direct hotel costs). To me, I’m reading this as a one-time match to Plat+ambassador without the spend if you’re already a Plat member w 100+ stays, regardless of spend. How about you? Based on a re-read of the email, I see that, too. Though I guess we’ll truly find out what they’ll do on August 1. Getting matched to 3 certs offer is a possibility. After all you’ve 115 days to complete signup offer and request a match. Also, being able to PC to Marriott card is great, especially for those outside of 5/24. I’ve read that they’ve stopped matching to the old 3 night offer. But, yes good point about product changing to the Marriott card for those over 5/24. I was matched to the 3 night offer in November 2017, not sure if they still do it though. Greg, Thanks a lot for summary! Very useful info. I have a question, if I may, I have GOLD for LIFE with SPG. My understanding that it will convert into Platinum for life? Am I wrong? Is it making sense to bother with new card just for 2 nights? I’ve been waiting for the 3 free night sign up bonus. Might be a good idea to go ahead and pull the trigger. If they become points, I expect they would just be subject to the normal Marriott points expiration policy (activity once every 24 months). If they become “60K point certificates” (i.e. they stay certificates but they are valid at any hotel up to 60K points), I expect the expiration would stay the same. Greg, Do you think that my wife could get the card and then share the points with me when they convert in August? I’m currently Platinum (soon to be Platinum 75 in August) and would prefer to get the credits and upgrade opportunities that come with that as opposed to my wife since she doesn’t travel without me. Again, this depends on how the certificates convert. Our initial understanding from Marriott was that the certificates would convert to certificates with equal point values, but still be certificates. In other words: the current sign up bonus is two free nights at Tier 1-4 properties, awarded as two one-night certificates valid at Ritz Tier 1-4 properties. Since Tier 4 properties currently cost 60,000 points, our understanding is that the certificates will keep that “up to 60K” value in the new program. In the new program, 60K is the absolute top tier (at least through 2018), so those two one-night certificates would suddenly become valid at any property in the combined Marriott/Ritz/SPG program. That’s pretty awesome as that gives you a lot more options than just the current Ritz 1-4 properties. There have been some rumors about the certificates being converted into straight up points rather than certificates. If that were to happen, you could theoretically combine your points (Marriott officially allows you to move 50K points from one member to another per year; you can transfer more if you have a specific redemption in mind…so the workaround is to find something to book that requires your points to be combined). I expect we’ll know what’s going to happen with the certificates before August, but either way I’d call it a win with regard to the Ritz certs due to the fact that all of the top-tier properties will be 60K in August. Any idea how transferring points will work in the new program? Wondering if we should transfer all household points through SPG to the account with status. Seems like more restrictions on the Marriott end but at least Gold and Plat don’t need to pay the fee. This is a little misleading. I thought Marriott charges a fee and waives it for elites. I haven’t seen them state the fee will go away. If I am only interested in getting the 60k points (already have platinum 75 nights) do you still recommend getting the card before August or waiting to see what the new card bonus will be? To be clear, I don’t expect that you’ll get points but rather that your certificates for free nights should each be worth a free night in any hotel that otherwise costs up to 60K points. I don’t know what the sign-up bonus will be in August. Historically the free nights were limited to Ritz properties. Whether that will be true again or not is unknown. Is this card expected to lose benefits after the merger? Otherwise, what’s so special about “this moment in time” to apply? We don’t know what the card’s benefits will be in August, but we do know that the free status that comes with the card will only be equivalent to 25 night status (new program Gold) vs. signing up today which will give you 50 night status (current program Gold and new program Platinum). Also the 2 free nights you get now are expected to be usable at any hotel worldwide. We don’t know what the signup bonus will be in August, but it is more likely to be limited to just Ritz properties or to a maximum point value. Is this 100% confirmed? That the new “free status” when spending $10k will indeed be 25 night status (new program Gold)? I haven’t found any other resource online to confirm this? Not saying you’re incorrect but a Chase rep who put me on hold to check claims that although the transaction counts as it posts to the 10,000 mark, it takes 30 days for my status to become gold as a result. Are you under this understanding as well, but understand that after 30 days it will still become platinum after Aug 1 anyway? Or is this not your understanding at all? I have 3 free night certificates that are slated to expire middle of August and an annual fee that is about to post June 15th. Do you think `these certificates will transfer to points and do you think a card cancelation will impact redemption or Gold Elite to Platinum status? I would prefer to cancel the card especially if these get converted to points with a longer expiration and more flexible redemption options, but also dont want to jeopardize my free nights, unused club certificates or status. Sorry for the very late reply. I don’t have any idea if they’ll be converted to points or not, but it is worth calling to ask if they’ll extend the expiration date of your certs. I don’t think cancelling the card will affect your elite status. Very good article. I hadn’t considered the added value of Ritz Gold converting to Platinum. Though I’m far short on nights for lifetime elite status, the fact that years of elite status will combine under these programs means I’m at 8 years of Platinum status, despite having fewer than 90 nights of total actual stays under all these programs! The Ritz card can probably help push me over. If you apply for the card now do you need to spend $4,00 by august or do you have until september? I recall reading another blog which said that those who have Marriott Gold via the Ritz Carlton credit card would only get the new Platinum status from August 1 until January 2019, rather than 2020 as you stated. . Is the 2020 date definitive? I understand that Marriott walked back their earlier promise of temporary Plat status for Aug-Dec, 2018. Their new mantra is you must earn Plat by staying. It’s a big risk to pay $450 based on a promise of lying Marriott. I am under 5/24 for Chase and never applied for any hotel credit cards. My question is, Is this a good hotel card for me to jump on? Or would anyone recommend me apply for something that Chase requires stay under 5/24. I’m still learning the credit card and loyalty program game. wont hate on u because ur still learning but ur question is too general. first of all, u didnt provide enough info for anyone to help. next, u should be posting on reddit. lastly, its clear u havent read enough yet. the amount of info that someone would have to comment on here to answer ur question is too extensive. Thanks for your very helpful response. I think your very general response has lead me down a rabbit hole of wasting the last two hours of my life looking at the reddit home page. First of all, you didn’t provide enough information on where and what to post and read on reddit. Next you point me to Facebook travel communities or different blogs. Finally, u is actually spelled YOU and ur is spelled YOUR. Thanks for helping me with a yes or no question. I will have to echo sentiments though. Everybody’s situation is unique, “is this a good card for me?” with no other info is a horribly difficult question to answer with accuracy. You should be looking at the r/churning subreddit. Also, if you so strongly desire a yes/no answer in this situation, yes. Does that help your decision? It’s tough to say. This is a one time opportunity to get high level status, but it will add to your 5/24 count. I’d go for it only if you know that you’ll make good use of the status and they free nights. One reason might be to have higher status during your first 50 or 75 nights, right? 3. Status earned in the above ways will continue through February 2020. Hi Greg, I opened the card in November 2017 and have spent less than $10k since then, so I’m currently Marriott Gold. Does 3. also apply to that case, i.e., will I also get Platinum Elite status through February 2020? Just want to clarify this means Gold from 10k spend AND signing up for the card as a new applicant? wow. everybody is fuking diamond. just great. looks like Hyatt is the last man standing. will stay away from Marriott until 2020. Since you seem to have a contact at MR, it would be great if they or Chase publish this on the transition page, specifically item 3. I’m reluctant to take a chance on a Chase card and am used to getting screwed over by mergers. If someone already has Marroitt Gold via a status match from SPG Gold thanks to spending on the SPG Amex, but now earns a Marriott Gold via the Ritz Carlton credit card, translating into Platinum Elite in August, will Marriott Rewards even recognize the difference? This is an important question. Based on my own limited experience dealing with Marriott rewards, the odds of them NOT recognizing the difference look pretty high. I doubt their computer systems have the ability to differentiate. I have even less faith in the human factor. Most of their phone reps are useless and do not know the rules. Nor are they empowered to change a status. It may work out great. But I would not want to have to try to spend hours on the phone hoping to get someone to un-cluster it all. I’m one of those AMEX Plat cardholders who will be kicked out of the lounge on August 1. Much as I’d like to get “50 night status” through a credit card, I’m not willing to gamble $450 based on what Marriott confirms to a blog. (Even a good reliable blog!). They could just as easily reverse themselves and say that the agreement promises Gold… and only Gold. Aside from the potential for “50 night status,” this card does not seem to offer all that much value to someone who already has an AMEX Platinum card. 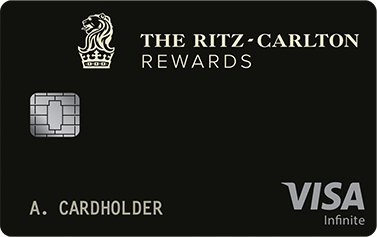 We expect that the Ritz card status will be the one recognized by Marriott as we suspect that they will first consider status earned from Marriott/Ritz. Good catch. That’s exactly why I opened up a new MR account this week, with a new number for that very purpose. I’ll use that new account number when I apply for the Ritz, then merge my old, “comped-SPG Gold” account with my new MR Plat account after Aug. 1. That’s the play. Yes, they should recognize the difference. Ritz Carlton Rewards Credit Card Review - Worth the Large Annual Fee? Wondering what happens if I sign up for the card before August under the current terms, but then I don’t earn the signup bonus until after the new program has begun? Will I still get the certificates that can be used anywhere? Yes, you will still earn two free nights and they should be the same value as those that others would get before August. That’s what we think. Nobody knows for sure what Marriott is going to do with the certs — but as there will be no such thing as a Tier 4 Ritz anymore, that seems like the most plausible solution. Why are people so sure the 2 nights will be good at any property? Marriott can do whatever they want. The other angle here is there will be a better signup bonus later this year, and if it’s points that can be better for some. Consider also that the Marriott visa is offering100k recently and Ritz was 3 nights. Maybe a new card will over more. We don’t know. The reason to get the card now is about status. We obviously can’t be totally certain that the 2 nights will be valid at any property, but Marriott has made it clear through several channels that current certificates will map to a similar points value in the new program. Since Tier 4 Ritz properties now charge 60K per night, maintaining a similar value would put these certificates at the top of the new award chart. It’s certainly possible that they will somehow map these differently, but I think it’s very likely that they will be valid everywhere. As for a better signup bonus, I don’t have a crystal ball — so I certainly can’t say for sure that it won’t happen. But since Amex is going to be the issuer of the “premium” card moving forward (not Chase), this card will eventually be discontinued for new applications.That might not happen until next year, and it’s certainly possible that they could make a late push to get more cardholders, but I don’t think it’s likely that the signup bonus will get better. In fact, I’d say this: I think it’s more likely that the free night certificates that come with the Ritz card now will be valid at any property than I do that there will be a better signup bonus. I’d love to be wrong — I like a good signup bonus as much as anyone — but if I were placing a bet, that’s how I’d place it. Regarding the 3-night offer, for a very long time people were matching to the Ritz 3 night offer. If I remember correctly, that offer was last publicly available in late 2016 — but people were matching to it until December 2017. That died unfortunately (to my knowledge). I agree that the status is also a strong benefit of getting this card. Update: I take that back on the Ritz card being discontinued. Greg just pointed out to be that the discontinuation of the cards hasn’t been spelled out – so it’s possible that it will continue on indefinitely. To maintain current value of the Ritz certificates, MR only has to make them worth whatever the August price will be for a tier 4 hotel. That might be 60k or it might not. Very interesting article. Thank you. If I apply now, and meet requirements, earning the 2 night certificates, do they expire 1 year from earning? I am planning a trip to Europe August 2019. Thanks! Does that hold true if I received Platinum status through Marriott Platinum challenge? Spouse has Chase Ritz-Carlton card, for 4+ years now, grandfathered in at $395/year. Log-in at ritzcarlton.com shows her as Gold Elite currently. This is almost certainly a function of some Amex Platinum radiation, since she has not been qualifying on stays of spend within the Marriott/RC universe. So come 1 August, RC/Marriott/SPG will not shift her to Platinum since the source of the current RC Gold status is from Amex Plat? Whereas if we spend another $9000 or so to make the $10,000 spend on card before 1 August, it will still show her (until 1 August) as RC Gold, but the type of Gold that will turn into Marriott Platinum? They can really make this distinction …? Yes. If you have MR gold from Amex then it will be MR gold in August, not platinum. If you spend $10k before August, you’ll have platinum in August. Yes, you have it correct. We just have to assume that they do have the ability to make the distinction. If not, they’ll probably err in our favor, not against it. I am at 4/24 or possibly 3/24 (but slim) with Chase. I have 7 cards with chase already (Reserve, Hyatt, IHG, Marriott Business, Ink Cash, Ink Bus Pref, Freedom) and want to get the Chase Business Unlimited, Ritz, and Marriott Premier Plus. The question is in which order should I get them? Business first since it would hurt my 5/24 by getting another card first, then Marriott, then Ritz since it isn’t subject to 5/24. I want the Ritz to get the Platinum status and marriott points to book when the points combine. I don’t see myself getting under 5/24 in a long time after this run of cards. Or should I just forget the Bus Unlimited and go for the other two????? Your proposal of Ink then Marriott then Ritz makes a lot of sense, but you’d want to get the Ritz card before August and 3 cards is pressing it. I’d do Ink + Ritz. Then later try Marriott in case you were 3/24. I am currently a platinum but probably won’t hit 50 nights this year to requalify and Marriott took away the status buyback program. If I apply for the Ritz card as a current platinum will they give me gold status that maps to new platinum until 2020 or will it not take because I’m a current platinum? Thanks. Would be interested if anyone else knows. That’s interesting. I don’t know either. If you previously earned Platinum on the Marriott side (not SPG), then you’ll be Platinum Premier until Feb 2019. Then, hopefully you’ll soft land to Platinum through Feb 2020 even without the Ritz card. Either way its a bit of a gamble since the soft landings are not guaranteed. I have to ask after doing some reading from other blogs and many other sites but i always come back to FM and DoC; Marriott Platinum status before I apply for the ritz card, Many say they have to always ask or beg for upgrades or rarely get upgraded / not being recognized of their status and all this and that. Its almost the majority of the comments i’ve read continuously that gold and platinum status upgrades are generally the same or almost never. From my experience as a gold, only spg has always given me an upgrade, though i rarely stay at marriott’s myself(work pays for those rooms if I did) Currently I have the Amex Plat, Spg Personal and the CSR as my travel cards. Is the Ritz card really worth it/worth it for the platinum status? Most of my personal travel is international and work travel only in the US. other cards I have (yes looming near 5/24) are the freedom, FU , ink cash and EDP if that matters. To-date, Marriott Gold has had significantly better benefits than SPG Gold, but your right that meaningful room upgrades are probably less common. Part of that may be due to Marriott simply having fewer suites at their hotels. Anyway, whether the Ritz card is worth it depends on what kind of benefits you value. With new program Platinum you’ll get lounge access or free breakfast at most hotels and you should get more upgrades when staying at Starwood properties than you would as Gold. Greg, thank you for a fine, well researched post. You write, “If you sign up for the Ritz card before August, you will get Marriott Gold status which will convert to Platinum Elite status in August.” Would you please confirm your assessment that I if i get the card now, I won’t need to spend $10K to obtain Gold Status immediately and be entitled Platinum after ~8/1/18? Also, is it ok for me assume that the two free nights certs after $4K spend in first three months would still be valid even with new award program starting ~8/1/18? Hopefully we can get some clarity due to the breaking news that on August 26 holders of the Ritz card will get converted to Marriott Gold Elite status in the new program. So does this mean new holders of this card in their 1st year will not get Platinum Elite as of August 1, like this post says? I was gonna apply this weekend, but if this isn’t the case, I’ll pass. Please advise. Same question as Yury. Does the August 26 conversion change the stance on this article? We always knew that after the programs merge in August this card would only come with Gold status — that’s the half the point of the rush to get it now rather than waiting. Today’s Gold status earned on the Marriott/Ritz side (i.e. not via match from SPG) becomes Platinum in August…but after August, the card only comes with Gold. As an existing cardholder, if I don’t spend $10K before August, I’ll get “upgraded” to Gold without spend — but if I already have Marriott Gold (via $10K spend), I should get Platinum. Again, new cardholders get Gold to start — so someone who opened it in 2018 does not have to spend for Gold status that should convert to Platinum in August. However, when I contemplated Friday’s announcement more, I decided to reach out to our contacts at Marriott to double confirm. A month ago, they told us that those who get Gold status via the Ritz card before August will be Platinum through Feb 2020. I’ve gone back to that email and asked for confirmation one more time that this is true — but it’s definitely what we’ve been told. -If you get Gold status before August (either by signing up for this card during 2018 or by spending $10K before August if you opened it before 2018), you will have current Marriott Gold (50-night status today) and that Marriott status will get converted to new Platinum (50-night status in August) until February 2020. -After February 2020, you would only have Gold status unless you spend $75K on the card in 2019 (or in 2020 and thereafter). Again, the current cardholders who get converted to Gold would be existing cardholders who opened before 2018 and have not done $10K spend this year (that crowd would get “upgraded” from Silver to Gold) based on what we’ve been told. They definitely aren’t going to take away your certificates — so yes, you’ll still get certificates for your spend. We don’t know exactly what the value will be with Ritz tiers disappearing — but yes, you’ll still get something. We suspect they may be valid anywhere (as Greg notes in this post). Gold the first year requires no spend under the current benefits — so no, you don’t have to spend $10K. As for that converting to Platinum, see my response below. For those following this thread of discussion, I received confirmation again today that if you receive Gold status before the programs merge (i.e. from opening the Ritz card this year or doing $10,000 spend as an existing user), you will transition to Platinum in August. That answer has not changed. As of today, under 5/24 again and its been over 24 mos since I got the old marriott bonus. Do I try to open the marriott premier for the 100k, as I know it ends july 12th. Do you think this will result in me being closed down? Also, any further word about the rumor that amex will not let you open the new spg card if you have opened the ritz or Marriott premier card in past 24 mos? Ha – read your second paragraph again out loud. You were denied twice and barely squeezed through after a third long phone call last month. No, I don’t think it’s a good idea to apply for another Chase card this month. The current 100K offer ends July 12th, but I expect it will cycle back up again in the future. Not worth risking a complete Chase shut down when they pretty clearly sent their message to you last month. I have not heard anything beyond what DoC has posted about restrictions on the bonuses. Even if that’s true and you lose this shot at 100K Marriott points and can’t get a new SPG bonus, I’d rather live to fight another day with Chase. More on this tomorrow I think. Haha! That’s what I thought you’d say. I was denied only 1x on the phone! 😉 Worked the 2nd time after practically begging. I have had the old chase ink biz card for 4 years now, so I do have some sort of relationship with chase. However, I agree with you….I won’t do it. Maybe the spg bonus will be huge! And Chase won’t talk to Amex like DoC is stating. But then I’ve got the whole 4 cc from Amex restriction, and I’m currently at 5 when my citi hilton converted over to Amex. #TravelHackerProblems !!! Hi Nick. Thank you always for your opinion and thoughts. I got my Ritz Carlton card last month and I am trying to spend $10K to get another Plat status until Feb 2021. But this whole scenario would rely on the fact that Marriott will honer Gold status from Ritz Carlton card. May I ask where you received confirmation about automatic plat match? Thank you in advance. That’s not going to work. You get automatic Gold status the first year, so you have Gold status now and as such that will become Platinum in August. Since you “earned” your Gold status (new Platinum) during 2018, you will have status for the 2019 membership year — which ends in February 2020. There is no play for earning status until 2021. Spending $10K this year won’t do anything for you at all. The only people who need to spend $10K this year are people who opened the Ritz card before 2018 (they need to “earn” Gold status this year — you’ll always earning status this year to enjoy the benefits next year. You get the benefits this year also, but it’s really next year’s status that you’re earning). So, again, don’t bother with $10K spend. To have Platinum status from Feb 2020 to Feb 2021, you’ll need to spend $75K next year. As for where our info comes from, we’ve had an email thread going with Marriott’s leadership team since the launch event in April. That message has been consistent and reconfirmed several times (including again yesterday). It’s not really a case of Marriott “honoring” Ritz status. Marriott and Ritz has long been one and the same (before the SPG merger). You had a membership number from one or the other, but you could log in with the same credentials on either website and your status is the same in both programs, when you look at your point balance on either site it matches, etc — so Ritz status really is Marriott status…unlike SPG, which was an entirely separate program when the merging of the programs began here. At any rate, we have asked multiple times and have been told multiple times that Gold status earned from the Ritz card will transition to new Platinum. Thank you Nick. But I have still wondering about spending 10k before Aug. I got my RC card in June which is in my first account year(until 2019 or Feb 2020). I have been spending 10k both in June and July which is still in my first account year. By end of July, 10k spending will be fulfilled. Therefore, my gold elite status is automatically renewed my second account year(2020 or Feb 2021). Well, you’re missing a couple of things, and this is a little hard to type out in a way that makes sense, but here’s my best shot: Gold stauts means something entirely different today than it will next year. Basically, Marriott is renaming the status levels. It’s more useful to think of the names in terms of nights rather than Silver/Gold/Platinum,. So getting Gold status right now means something very different from Gold status next year. The only year that Gold status matters is this year. If you have Gold status earned from the Marriott/Ritz side when the programs merge next month, the name of your status will change to “Platinum”. That’s because today’s Gold status is 50-night status (i.e. you normally have to stay 50 nights to get it) — so the benefit you are getting from the Ritz card for the first year of card membership today is 50-night status. In the “new” Marriott program, 50-night status is called Platinum. Since you’ll have earned 50-night status (courtesy of this being your first year of the Ritz card in your case) before August, you’ll keep 50-night status. Since you earned that status in 2018, it’ll count the same as someone who completes their 50th night in a Marriott hotel in November 2018 — you’ll both be Platinum for the 2019 year (which ends in February 2020 for Marriott). In the past, the way the Ritz card worked was that if you spent $10K during your cardmember year, you would get renewed at 50-night status (old Gold). Let’s say you had opened your card in July 2017 and you spent $10K in January of 2018. When your anniversary date passes this year in July, you’d maintain Gold status. Again, since that is currently a 50-night status, it’ll become Platinum in August. Since you’ll have “earned” it in 2018 (the same as someone who earned Gold by staying their 50th night this month), you’ll get Platinum for the 2019 membership year (ends Feb 2020). At some point in August, your 50-night Gold status will get renamed 50-night Platinum status. Then, starting August 26th, the Ritz card will automatically come with “new” Gold status (25-night status) every year — there is no longer a $10K spending requirement (you’re really getting the old Silver 25-night status, they are just calling it Gold in the new program). But by August 26th, you’ll already have Platinum for 2019 because your 50-night status stayed 50-night status. It’s a 1-year win. However, when your anniversary date passes in 2019, you’ll get automatic new Marriott Gold — which will only be 25-night status, no breakfast. You don’t need to spend anything at all because the benefit is changing — Gold will be automatic, but Gold will no longer get free breakfast. Spending $10K will not make a difference — you’ll renew at 25-night Gold with no spend at all. That’s why it’s good that you opened the card this year. Right now, you are getting 50-night Gold status, which gets you free breakfast and you’ll maintain that benefit when the programs merge — but you’ll lose it when you don’t requalify for 50-night status in 2019. Unfortunately, the Ritz card will now require $75K spend to get 50-night status moving forward. That’s a huge devaluation in that benefit, but that’s what’s happening. Thank you Nick. My status has just changed to Platinum Elite from my Ritz Carlton app on my iphone. I am sorry to belabor this point, but I signed up for this card in order to secure Platinum status through February 2020 on the advice of this blog. I’ve called Marriott 4 times in the past week and everyone I have spoken to says my Platinum status expires in Feb 2019. I need to get this sorted to figure out if I need to mattress run, and I’m wondering if anyone else that newly signed up for the card has confirmed status through 2020. We originally spoke with David Flueck, President of Marriott Rewards. He introduced us to Bob Behrens, who was Vice President of Marriott Rewards at the time. In ongoing discussions with Bob, he brought in someone from the PR team (I assume someone at the top of the PR team). The things we’ve passed on are things we’ve been told by these higher-up members of Marriott. So far, most of what we’ve been told has panned out as accurate. We’ve been in touch with them about the ongoing problems with some members not showing the status they should and they’ve told us they are looking into it. As for the expiration of your status, I’m not at all surprised to hear that reps are telling you February 2019 as they are likely only looking at the number of stays you’ve had this year — my conversations with phone reps indicate that there isn’t a box on their screen somewhere showing your expiration date, but they rather just look at the number of stays you’ve had to determine requalification. I’m basing that on my own experience calling in. I don’t have my Marriott and SPG accounts combined yet, and the Marriott reps have all told me that my status will expire in February 2019 unless I stay X # of nights, where X is 50 minus my Marriott stays this year (since they don’t even see my SPG stays…and none of the reps I’ve talked to even thought to tell me that those count). So my long story is to say this: I wouldn’t put much stock in whatever a phone rep says about your expiration. Whether they told you February 2019 or February 2020 or Februarchune of 2064, I’d have about the same level of faith that the phone rep actually knows. Bob and the PR people he put us in touch with told us before the merger that those with Gold from the Marriott side (whether from stays or the Ritz card) would get Platinum status through Feb 2020. I had Gold on the Marriott side from the Ritz card and my status moved up to Platinum after the merger (my SPG status, which was from the Amex Platinum card, remains at Gold to this day). So far, it looks like what they’ve told us is true (though, frustratingly, some people here who signed up for the Ritz card haven’t seen their status move to Platinum, and I don’t have an explanation for that — they’ve told us they are looking into it. What a cluster!). But based on the fact that the status became Platinum as we were told, even though phone reps also told me Feb 2019, I don’t believe it. I expect my status will be good through Feb 2020. I don’t have a more firm answer yet, but we’ve been following up with Marriott and will certainly post if and when we have something firm. Thanks Nick! My concern is that I could mattress run to ensure Platinum next year, but don’t want to do that unless necessary. Providing details on status expiration should be something that can be looked up your member page, but I guess I’m being unreasonable asking for basic information from the Marriott website. I got the card and did my $4k spend. Gold elite status is showing on Marriott account – thanks, FM! 1st statement closed. Anyone know how/where to access the certificates? If you go to your account and click “activity”, you should see any certiicates that have posted. You should definitely at least see your 3 club upgrade certificates that come with the Ritz card. If they have posted your Tier 1-4 free nights, that’s where you’ll see them. If they haven’t posted yet, it might be worth a call or SM to Chase to inquire. I’m sure they’ll tell you that it can take up to 8 weeks, but in practice it doesn’t and it probably won’t hurt to prod. Sorry to come in under the wire here, but deciding between the Marriott Plus 100K & Ritz cards. We are a family of 4 & travel mostly to SPG properties (Caribbean, Europe, US) & have no status with ANY hotels. Currently hubby and I have 4 SPG cards & 2 Marriott bus cards which we will keep & pay the $95 fee so we can book single night consecutive stays at cat 5’s with the annual certificates. We are both at 3/24 & have already got the best Chase cards (reserve, ink, pref etc). Approved for Ink 100k a few months ago too. Would plat status be good for cardholder only or all 4 of us )do we need 2 Ritz cards)? Would we have to pay the annual fee again next year to keep status until Feb 2020 or will it be automatic even if we downgrade/close the card? Would Ink approval hurt us as it’s too many cards in too short a time (mine was approved in May, Hubby’s was just in June & he’s still working on $5k spend)? In your opinion, is it better to get the Marriott (more pts) or Ritz (status)? *just to confirm – we just need to be approved for Ritz b4 Aug NOT complete $4k spend to get Plat status, Correct? Thank you so much for answering a newbie’s questions, it’s much appreciated! You’ll need 2 Ritz cards as the cardholder’s Marriott number is going to be associated with the free night cert. In other words, if you have status and he doesn’t but you’re using his free night cert, you’re not going to get status benefits — and Marriott only officially gives you status on one room in your name (so even if you were using two of your own certificates, you aren’t entitled to status benefits for both). Of course, it’ll be somewhat hotel-dependent — I’m sure if both certs are yours/booked in your name, some hotels will grant benefits to both rooms and I bet that in some cases, a hotel might agree to give you breakfast when the room is in your husband’s name since you are a “valued Platinum member” staying in his room — but there’s no guarantee at all on that and it is likely to be a crapshoot and function of which property, what time of year, occupancy, the agent you deal with, and what kind of mood he or she is in that day. If you’re a smooth talker, you might get by — but you’ll need to both have status if you want it to be a given that you’ll have breakfast for the whole crowd. You wouldn’t need to pay the fee again. You’re always earning this for to have status next year. Think of it from the perspective of a guest starting with a clean slate – Joe Business Traveler. From January 1st to December 4th, Joe spends a total of 50 nights in Marriott hotels. On December 5th (or 6th or whatever), Marriott recognizes that he has achieved 50-night status for 2019. Rather than making Joe wait until January to enjoy the fruits of his loyalty, they give him benefits right away — but really, he was earning recognition next year for his loyalty this year. Rather than end the status year on New Year’s Eve, the 2019 year actually ends in February 2020. So Joe stays 50 nights this year and gets status the rest of this year and all of next year (which actually ends February 2020). Let’s say Joe traveled a lot in the first half of the year and instead of December 4th, he finishes his 50th night on May 5th. He’s still earning status for the 2019 year — but, again, they don’t make him wait until January to get the benefits — he gets that 50-night status recognition the rest of this year and then next year (until February 2020). With the Ritz card, you’re just taking a shortcut on Joe and getting 50-night status when you get approved. So you’ve “earned” Gold status for 2019 the same as Joe, just without actually staying in the hotels. Once Marriott records that you’ve met the requirements for status during 2018, it’s yours until February 2020 — keep, cancel, downgrade…whatever you want to do with your Ritz card at that point. If you want status beyond Feb 2020, you’ll have to do $75K spend before your next anniversary date. Then you’ll have “earned” in 2019 to have status during 2020, and so on. If you’re at 3/24, I don’t think the Ink apps are going to be a problem for you. You’re probably fine to apply for either card (I wouldn’t do both Marriott & Ritz with your Ink apps so recent). As for which is better….that’s a tough question. I guess it depends on where you’re planning to stay. If you’re going to stay several times with a family of 4 at some St. Regis properties or a JW Marriott resort with a lounge or something, I imagine you’ll save some serious money by not paying for breakfast and having access to lounge snacks / drinks. If you’re mostly going to stay at Fairfield properties where everyone gets free breakfast or Ritz-Carltons where nobody does, maybe it doesn’t matter (or if you’re paying for Ritz stays, you’ll want the lounge upgrades). Let’s put it this way: based on our Reasonable Redemption Values, the Marriott points are worth around $720, give or take. Is free breakfast worth more to you than $720? That’s really a function of where you’ll stay and how many nights. It’s not totally uncommon for some of these high end resorts to charge prices like $40 per person plus tax and tip for breakfast. Even if they’re only charging $30++pp, you’re looking at $150+ for a family of four — it only takes 5 nights to be at a pretty-close-to-even point if you’re going to be staying at properties like that. Of course, if you’re just as happy with a Sausage McMuffin for $1 at Mickey D’s, maybe that $150 breakfast isn’t really worth $150 to you. Elite status is an irrational thing. Points are more flexible, they last beyond next year if your travel situation changes and you don’t travel as much next year as you anticipated, there isn’t pressure to use ’em while you’ve got ’em like there will be with making sure you get benefit out of your status before it runs out (which could convince you to take trips you wouldn’t otherwise take). On the flip side, if you’re planning to make a run for someplace crazy like the St. Regis Maldives or Bora Bora, you’ll probably want status, rationality be darned. Now, all that said, and I was typing this closing paragraph and finally saw the light: You’ve got a bunch of mid-tier certificates (25K/35K) that you’re going to be looking to use at those types of properties. 100K points will basically get you 3 more nights at a 35K or 4 at a 25K. The Ritz card will get you 2 more nights at those properties (or 2 nights at a higher-tier place) + status. When I think about it that way, I think the answer is clearly Ritz — you are giving up at most 2 extra nights and gaining status. Unless those are really valuable nights, status is *probably* worth more. The only exception I’d say is if you’d intend to use your 100K points to stay 10 nights in 10K properties or something along those lines — then it’s possible that they would be more valuable (but still not a definite). Wow, thnx for such a detailed response! Will our status start immediately when we r approved or only after we meet min 4K spend? I know we can buy $300 airline gift cards to offset the $450 fee, but what does this perk mean: $100 discount on multi-passenger ticket purchases? One last q…is airport lounge access provided by this card good at any airport lounge? Is it for member only or member + guest? 1) Hopefully someone with more family travel experience can chime in here for you. I believe the actual Marriott policy is lounge access for the Plaitnum member and 1 guest. In practice, I imagine that many hotels probably allow you in with children who are young (under 12 perhaps? ), but I don’t think they have to allow access for all four of you by the program terms. A) You get “old Gold” immediately (which includes breakfast/lounge access right now). That will convert to “new Platinum” (breakfast/lounge access) next month. B) I’ve read that it takes about a week or so for status to take effect — I didn’t pay attention when I first applied. It did take about a full ten days for Chase to match up my account info and issue my Ritz card — I was told there was no way to expedite (they do ship it overnight when they finally ship it). I’ve heard of others having a similar experience. You may or may not get status before you see the card – I honestly can’t remember. But yes, I would expect you to have it before August as even those spending have up until the end of this month to complete the spend (existing cardholders who have to spend $10K to renew Gold). 3) Careful – I wouldn’t say you can definitely buy $300 in gift cards to offset the fee. The Ritz credit isn’t automatic. You have to send a secure message or call to get a human to issue the credit for your airline incidental purchase. Many people are able to purchase gift cards successfully, but many people run into roadblocks on it, too. You’ll want to Google around and look for data points about denominations to buy. I’ll try to put together a resource page for this actually. I’ve been using my credits on low cost carriers (Southwest A1-15 boarding, in-flight wi-fi, checked baggage and seat fees for Spirit and WOW, etc). In my opinion, it’s one of the best rarely discussed benefits of this card…if you book round trip economy class travel for 2 people. Hopefully, that gives you some food for thought. Thanks so much, Nick. Great answers to my questions. I’ll try to post the lounge access q for families on the FB grp & see if anyone knows. Thank you for the informational post on Ritz-Carlton card. If I get the card in July but did not meet the 4K spending requirement until end of August. Will my free night certificate only good at Ritz-Carlton properties? And if I want to received the certificate before August does that mean I need to move up my statement date or as soon as I meet the 4K spend the certificates will be issue? We don’t know for sure how the Ritz certificates will be handled either way — the point of this post is that it stands to reason that if you have in your possession a certificate that works at a property that charges 70K per night (Ritz Tier 4), Marriott would convert it to something of comparable value — which, in the new program, means any property. It therefore seems reasonable to try to earn the certificates before the programs combines if you can. That said, I’m not sure it’ll make any difference — we just don’t know. I tend to expect that these certificates will work at Marriott, Ritz, and SPG properties either way — it’s just a matter of how high they map. Is the $300 annual travel credit based on a calendar year? Applied last week, got the card couple days ago, met min spend for the CC $4100, $100 plus to be safe, I asked chase to change my cycle from August 4th to July 28th, they did. This month my spend will post and I’ll payoff ASAP within a week, my question is: will my new plat status after aug1 go into feb 2019? Or I should spend another $6k to make it over $10k? You always earn status now for next year. Imagine someone staying in hotels. They may not get their 50th night in until December 20, 2018. If Marriott cut their status off in Feb 2019, that person would never have status for more than a few months. That customer earned status by doing 50 nights in 2018 — so they have that status for 2019 (the idea being that Marriott wants to encourage them to stay at Marriott hotels in 2019 i.e. remain loyal). Status earned in 2018 is good for the 2019 membership year, which ends in Feb 2020 (they don’t make you wait until 2019 to enjoy it though — if you earn status in June, you get to enjoy it for the rest of the current year and all of the next year). With the Ritz card, you “earned” your Gold status in 2018. That means it is really good for the 2019 membership year. Your status would be good through February 2020 — no spending required. By the way, “new plat status” isn’t necessarily starting on August 1st. Marriott was saying August 1st initially, but they have since backed off and begun just saying “in August”. We don’t know exactly what date the programs will merge. Some notes: I was, are you kidding /24 but with zero balance with chase and a healthy credit line $55k’ish? they moved some from my new Iberia card to make it a clean $10k limit, that’s the minimum for this card. I got a reminder on each card to keep active to buy a pack of gum or cigarettes with one of the cards from the sock drawer to keep active, I only use a few cards out of 40 for spend, SPG and CSR 99% Ink card for gift cards at staples for the a few stores, friends ask why do I use a CC to buy a gift cards? because I’m a point horder, truth is I mostly give them to family, we fly JetBlue and stay @ $150 hotels most of the time anyway. This year alone 7 months over 9 cards? maybe more, I’m running out of cards to apply for. Not super important, but FYI anyway — It’s possible that they instituted a new minimum $10K limit for opening the card when it became a Visa Infinite, but there isn’t really a minimum limit on it. I’ve had mine a few years — when I got approved, I had been on a bit of a run and the limit they gave me was less than $10K. Just recently (like within the past 2 months) they gave me an unsolicited CLI on it that brought it north of $10K — but I’ve had it open and less than $10K for a few years. Some people have reduced it to as little as $1500. I replied here because it’s noteworthy that it can be adjusted. Why I got this card @ the 11th hour was a couple reasons, I have Marriott gold through several chanels 1. SPG match from Amex Plat and 2. spending over $30k on SPG business card, but after learning new gold will not be as good as old gold I think a $150 true cost card and 2 award top nights worth it. I read your blog weekly, I thought I knew about the merger but almost overlooked if your gold from the match or any other way except the hard way or through Ritz you will get a watered down new gold. Greetings Nick and others, just got the card and curious about those two nights certificates. Do you know if I have a choice to trade those for points? I honestly would rather stay more nights at a lesser value property if I have a choice. Can I exchange those certificates for points with someone else? Thank you ! Nick, was just instantly approved for the Ritz card yesterday, any idea how long before my Marriott/SPG account with reflect status? Will it show up before they officially merge Aug 1st? I believe data points indicate about a week. It should show up before Aug.
Also, note that we don’t know exactly what date the programs merge. Marriott has backed off of the Aug 1 date and has instead just been saying “in August” for the past several weeks. Could be Aug 1, could be Aug 4, could be Aug 22 – we just don’t know for sure. At any rate, you should have status in time. If it’s a week, would that mean the last day to apply for the Ritz card would be 7/24? Or would 7/31 would be just fine as well? Greg reminded me earlier that Marriott told us you would get the status as long as you complete the spend by July 31st. Interesting. I was under the assumption that currently if you applied for RC card, you receive gold status in your first year, regardless of hitting min spend or not. Did this change recently? Even this post mentions just applying for the card. I’m sorry — I was reading quickly and I misread your message (thought you were asking about completing spend for existing cardholders who need to renew status). If you’re interested in applying for the Ritz card, I wouldn’t wait at all. Theoretically, you get Gold status right away (and Michael notes below here that his account switched to reflect Gold in 2 days) — but in practice, it takes time for the card to show up and I wouldn’t want to chance something takes a few days and I later have to go back and forth between Chase and Marriott over when my status should have taken effect. If you want the card and the status that comes with it, I’d apply today. Wow, It seems Ritz card is closed to new applicants. So, glad I followed your advice. Thanks. I was just approved for this card on Wed., and my Marriott account switched to reflect Gold Elite on Friday. What do we know about how easy it will be to actually redeem Ritz certificates on SPG properties that have limited participation in the SPG program? I understand that Ritz Tier 1-4 certificates will probably be redeemable at any Marriott / SPG / Ritz between August and early 2019, but am I correct to assume that the caveat is that there must be consecutive award space available? I was just approved for this card and am hoping to use my certificates for my honeymoon at a beach resort in Costa Rica, preferably an all-inclusive. I sent a message to Starwood to ask whether I would be able to redeem these for a stay in October 2018 at the Westin Playa Conchal, an all-inclusive with “limited participation in the SPG awards program” that will be a new Marriott Category 8. I received a message telling me to check back in August as this information has not yet been released. Other options would be the JW Marriott Guanacaste or Los Suenos Golf Resort, which both have all-inclusive options that can’t be booked with points (http://bit.ly/2NbWzmT). I called Marriott to ask if there’s a way to book a stay at these properties with points and then pay an additional amount in cash to make it all-inclusive, and the representative couldn’t answer my question. I would greatly appreciate any advice on redeeming Ritz certificates for a beach resort in Costa Rica in Oct. 2018, preferably an all-inclusive. Thanks! For travel packages, there has to be consecutive award space, but the Ritz free nights are independent. You can book each one separately. In this case I think the Marriott and SPG reps were correct. You need to wait until August 18th (I’d actually wait until the 20th) to find out what’s available to book and where. Hello Greg and thank you for the informative post! I had an AMEX Platinum and received SPG Gold. I linked it to Marriott and has been showing Gold Elite. Last week, I applied for the Ritz and got it in the mail today. Surprisingly, my membership number on back of the card is the same as my Marriott (Gold) membership that I got through AMEX Platinum. Do you think Marriott will upgrade my account to Platinum whenever it comes time to roll this out? Meaning, will my Ritz supersede my AMEX Platinum? Yes, that’s what we expect. Marriott and Ritz numbers have been the same for years now actually. That’s why we expect that status to matter. From Marriott’s end, Marriott and Ritz are equal. Starwood is the program that’s getting folded in. Do we know yet what the ritz certs are going to be? 60k certs or converted to points? I just got mine!!! Ritz Carlton Al Wadi or Al Maha? Any opinions? To clarify, If I apply and am approved today, I’d get Marriott Gold (and then converted to Platinum) at the end of the month without any spend requirements? Once I hit it spend requirements (after August 1st), would I get the free stay credit or the equivalent in points? First, for clarity, we don’t know what day the new program will take effect, but it almost certainly won’t be August 1st. I say that because Marriott was saying August 1st back in April, but for about the past two months, they have been saying “in August”, backing off of committing to August 1st. I say that so you’re not surprised if this doesn’t all happen immediately on the 1st. Hopefully, they’ll give us a date sooner or later — but at this point, we’re still waiting. Otherwise, yes. If yyou get the Ritz card within the next couple of days, your account should reflect Gold status from that before the programs merge and you would therefore get Platinum in the new program. As for the signup bonus, I’d go into it expecting to get exactly what it says — two nights at a Tier 1-4 Ritz property — but knowthing that you might get something better (like 2 certificates valid at any property or a points equivalent). Nobody knows for sure. It’s a reasonable guess to think you’ll get two certificates valid for nights up to 60K points, which would mean any property once the programs merge here shortly. If you end up getting points instead, all the better. Perhaps the answer is already here, but I’m missing it. Just got approved for the Ritz card. I had to move some credit from my recently approved Iberia card, but Chase was very accommodating. Is it critical that I do the spend before August 1? I think I get the status regardless. But, I’m not sure on the differential for the free nights if they are earned prior to or after August 1. Just trying to determine how much effort I need to put in to get the spend done before 8/1. THANKS! I really appreciated this post. You are correct that you get status regardless. It is not critical to do the spend before August 1st. My wife applied for this card on July 19. Still waiting on approval. Any idea if getting Marriott gold status (and subsequently, platinum) be provided based on application date, or approval date? She applied with the offer saying gold elite status – concerned that with the time delay, and being close to August 1, that they will approve and provide status based on whatever is in effect at the same of approval, which would be contrary to the whole point of applying. On a related note, once approved, how long does the status take to be updated on the marriott/ritz account. We have a stay at the end of August for which we are really hoping to make the new Platnium somehow. Terms say up to eight weeks. Someone in the comments above you noted that it only took two or three days. Hard to say whether status would be based on approval date or application date. I would expect it should be based on application date, but it’ll definitely be a little confusing if approval is after the changeover. If not approved within the next couple of days, I would call the Recon line. any datapoints on how soon my wifes marriott status will get updated to true marriott gold? Re: Is this still going to happen? “If you signed up for the Ritz card last year or earlier, make sure to spend $10K on the card before August so that you will get Marriott Gold status which will convert to Platinum Elite status in August. That status will then last until Feb 2020. ” I just received an email from RC “Your Ritz-Carlton Rewards(R) Credit Card is getting new benefits”, and it says that I get automatic *Gold* Elite Status. I am currently Marriott Gold Elite (I made sure I spend over $10k on my Ritz-Carlton card this year), but there’s nothing the RC email saying that my Gold Elite status will convert to Platinum Elite in August. Am I worrying too much, or has there been a change in the program since you posted this? No change. We’ve known the new benefits for a while. After this Feb 2020, you’ll go down to Gold status and that will be automatic (no spend required). Or if you opened the card prior to 2018 and haven’t done any spend this year, you’ll automatically get Gold in the new program. Thanks for the speedy reply! I opened the card in 2016, and have spent over $12k so far in 2018, so I should be good for the Platinum Elite conversion. Maybe the email I rec’d today was generic and not taking into account my spend? Hope so, but I guess I’ll find out soon enough. Thanks again. Is August 18 now the date by which you need to sign up for the Ritz card in order to get Marriott Gold status which will convert to Platinum Elite status? Nick/Greg, thanks for the great article/advice and all the follow up responses to everyone queries. You guys are awesome. So I’m super confused because I got instantly approved for the RC last week, but they didnt link the card to my existing marriot account. They gave me a brand new RC account no. I can’t find anything about combining my accounts but I’m reading things like you can only belong to one program (Ritz or Marriott). My questions are if I have two separate accounts – Ritz and Marriott – what will happen in August to my Ritz account? Will they merge? Will I have two marriot accounts? Can I combine accounts? etc etc This is turning out to be a headache for me! Thanks! Just call Marriott. They should be able to combine your accounts. I’m probably way overthinking this. Got my Ritz Carlton card today. Do you think I should I do the $4000 spend before August 1? Or might it be better to wait? We have no idea yet exactly how the free night certs will be handled, but could timing possibly weigh into the outcome? I can easily put $4000 spend on before 8/1. Your best guess appreciated, but I won’t hold you to it. It’s mostly fun playing this game. I don’t think it will matter, but there’s a tiny chance that having floater certificates in your account before August 18th will be better than getting the certificates after. I don’t think that’s likely at all, but personally I gambled on getting them sooner. super. thanks for the response. All will be revealed in a few weeks…..
With the 18 Aug date having been announced for the launch of the combined Marriott program does that mean that if I meet the $75K spend before that date I will qualify for the Platinum Premier Elite? I’m trying to get that answer from Marriott. I’ll do a separate post if/when I find out. I understood from your posts that if I spent $10,000 after my first year by Aug 1st ( even though my statement ends on Aug 14th) , Marriott confirmed I would become platinum elite on August 1st. Please confirm or clarify because it is now Aug 2 and I am only Gold elite. You should be Platinum once the new program kicks in on August 18th. If we ever specifically said August 1 that was because we had previously thought that to be the date that the new program would start. Thanks for your reply, I also considered that possibility but it appears that the new program moght have already kicked in because my status changed from Gold to Gold Elite. Greg, did you ever get an firm answer on this? My card just came today and I’m wondering if I should start trying to hit that $75K before the 18th or not at this point. I got an answer that sounded like yes, but it wasn’t firm enough for me to feel comfortable passing it along. When I asked for clarification, my Marriott contact went silent. Sorry! any datapoints on how soon my wifes marriott status will get updated to marriott gold? Should be within a few days based on comments from other readers. Hey Greg, thanks for this helpful article. I have three quick questions: 1. I applied for the Ritz Card on July 26th (the last day available) and my Ritz account shows it was generated on July 27th. Will my gold status be transformed into platinum status after August 18th and will it still be valid through Feb 2020? People on Flyertalk and some other forums/blogs are becoming more and more unsure about this so I just want to double-check. 2. So far I have no stay at Marriott or SPG properties. Do you think that will influence my status transition at all? 3. Do you think the platinum challenge is likely to come back after the merge? Is there any possibility of a “platinum premier challenge” in the future? I’d really appreciate your response! Hey Gregg, If I apply for the card today – 08/15. Would I become Platinum after 08/18? If you apply for the card today, I suggest selling your time machine for enough that you will never need to worry about status again. First sentence at the top of the post: The Ritz card is unavailable for new signups as of July 26 2018. Kevin, the card is no longer available for new applicants since 07/27. Thank you so much for the insights! You don’t think there will be Platinum Premier–is that because in the new program Marriott clearly tends to prefer those achieving higher status with “real” stays than by shortcuts? Got the Ritz card end of June, just met the $4,000 MS today. I wonder how long it will take for the 2 Ritz night certs to hit my account? Truthfully, I’m praying for the 120,000 points. And I guess we’ll just have to wait until after Aug 18 to really make sure that we get Platinum status because of this Ritz card? I already had Marriott Gold Elite because of the SPG Gold via Amex, so my status hasn’t changed in a way that I would know for sure that it’s true Marriott Gold because of the Ritz card. Also, I noticed in your post that we don’t get Suite Upgrades because of this card? I did notice however, that i have 3 Suite Upgrades certs that got added to my account? Each one says “Club Level Upgrade Up to 7 nights.” Is that what you were referring to or is this something else? One last thing, can we choose to use these upgrades after check in, if for some reason we don’t get upgraded automatically to the Club Level? I’d hate to waste one if we’d already get upgraded. Lots of questions, but thanks for clarifying! I know it’ll be a busy few days coming up with this crazy merger! Don’t set your hopes on a hundred and twenty thousand points. The most likely scenario is that you’ll get two one night certificates that are each valid at properties that charge up to 60,000 points per night. I highly doubt you’ll end up getting points. It’s not impossible, but not the likely scenario. As for getting Platinum Status, Marriott has confirmed repeatedly that Gold status earned via the Ritz card before tomorrow will transition to Platinum Status. We certainly expect that to be the case. I’m in the same boat as you with gold status that was initially matched from SPG and then I also earned it from the Ritz card. We strongly believe that status from the Marriott side, which includes Ritz, will be considered before the matched SPG status. I also wouldn’t get my heart set on this all being correct on August 18th, I imagine there going to be some hiccups and it may take a couple of days for everything to get sorted out. The upgrade certificates you see in your account are Club level upgrades, which are only valid on paid Ritz-Carlton stays of up to seven nights and you have to pay a specific rate in order to use them. They’re not suite upgrades. Yes, you’ll have to reserve them in advance and apply them to your reservation before arrival ( you have to reserve these over the phone because you need a certain rate code you can’t book yourself online). You would not otherwise be upgraded to the club level at a Ritz property. Ritz club level upgrades are always paid. Nobody gets them based on status. As a Marriott Platinum member, you will get club lounge access at most properties in the portfolio, but not Ritz. As for Suite Night Awards, they are benefit that requires 50 nights. If you have stayed 50 nights combined between Marriott and SPG, you will get five suite night awards. The way Marriott handles suite night upgrades is that they’re basically like a request. You’re requesting an upgrade, and Marriott will begin searching for availability 5 days before you check-in. These aren’t guaranteed upgrades, and if there’s no upgrade found, the suite night awards get returned to your account. You need to have suite night awards to cover each night of your trip. In other words, you could book a 3-night stay as long as you have three or more suite night upgrades. You can’t book a five night stay and apply three suite night upgrades. You’ll need to have a suite night upgrade for every night of the reservation to apply them. Any possibility of club level upgrades at Ritz for the unified Platinum status on award stays? Got the Ritz card last month. Marriott status was already Gold from SPG match (credit card earned). Merger day is here, and my status now shows as Platinum in the Marriott app! Same boat, Elizabeth, and a Marriott phone rep told me this morning that the system says I am platinum until Feb 2019. I am hoping it’s a glitch that still needs sorting out and they opened a ticket for me to look into it. I’ll be pretty bummed if the status ends a year earlier than I was led to believe. I like your confidence in calling it the “correct” answer. Fingers crossed! I am in a unique situation: I was gold at Marriott via Amex SPG Personal and Amex Plat and then on the last possible day got the Ritz card (to go Plat Elite). I merged the Marriott and SPG but didn’t get the Ritz card in the mail (I went overseas) in time to even set up a profile there (the number is on the card but cannot access any points). Post merger, I am only gold. The SPG and Marriott points are combined but they had/have no idea I have the Ritz card and cannot/will not answer emails to fix it. I’ve already paid the $450 fee but may have to cancel the card and get that back if they can’t get it linked into my Marriott account to ensure Plat Elite through that Ritz card, which is one of the main reasons I got it as I have several trips coming up and wanted the perks that come with it. Really hate to cancel it but I don’t want to have to try to convince them at the front desk to give me Plat Elite perks while waiving my Ritz card at them and checking in as only gold. Advice? Greg, any updates on being able to keep Platinum Elite until February 2020 after having earned Gold Status with Ritz Carlton Credit Card during 2018? I received written confirmation today from someone in corporate guest relations at Marriottt that my Platinum status would indeed be valid through January 31, 2020. I couldn’t be more pleased (and relieved)! This is going to make a three week trip through HK and Japan significantly better for us!!! Same boat here sort of, I had SPG gold from both AmEx Plat and from SPG AmEx spending. Then the day after I read the Chase RC card was no longer taking new applications I called Chase and product switched into it. In doing so I dropped the Marriott visa, my anniversary in September, so I assume I lost the 15 elite nights and maybe one 25k night that card granted on the anniversary. I’m now after the merger Plat. They seemed to have made a mistake as I now have 6 club lounge certs, once I merge accounts I’ll have 50 nights, but 15 will be from my Marriott business card and 5 from my SPG AmEx big card. I also made sure my affiliation was as a Ritz-Carlton rewards, in the RC rewards it list 2 elite night credits for each paid night. Ive checked twice with RC reps and once this was very clearly verified by my wife’s up coming reservations. I think this, Plat gift option of 5 elite night credits and the 15 night credit from the cards are only none nights path Plat left after Chase Marriott spending nights, rollover nights, stacking of Marriott Visa anniversary 15 nights have gone. I have two free nights planned at the Ritz half moon bay should I cancel those and use them somewhere nicer with the updated changes. If you can find someplace nicer that you’ll definitely go to, then sure why not. Here’s my data points on this topic. I got the Ritz Carlton card on your advice before the deadline. I show Platinum elite status on the website. I also found a Ritz Carlton credit card website that says”Cardmembers who have earned Platinum Elite Status before August 26 will get Platinum Elite Status through 2019″ https://www.ritzcarltonrewardscard.com/privileges. “through 2019” has some ambiguity. When I called to make a reservation for February on the Marriott line, the person told me that my status would only last to 12/31/18. I called today on the Ritz phone number on the back of my credit card. Got a very helpful woman (I think Para in Salt Lake City) who made a notation on my file that she had looked up and confirmed that she shows my status good through the end of 2019. I became platinum elite 8/18/18. What happens if you get the two free ritz nights after August? Do they still convert to Marriott points or do they remain ritz nights? Yes, they should be 60K certs usable at any Marriott/SPG hotel that charges 60K or less per night. Hey Greg–I’m in the boat of having had the Ritz Carlton card for over a year, meaning I needed to spend $10K this year to renew Gold status (although I technically had it via SPG already). I spent the $10K on my RC card prior to July 31st, but status is reflecting only as Gold on the site (in both my SPG legacy and Marriott/RC accounts). I went this route because of this actual blogpost, but can’t seem to find any other data points after rifling through Flyertalk/blogs/reddit. Any help/thoughts would be appreciated! I can provide a data point for you. Short story: I did the $10K spend and I now have Platinum Status. Longer version: I have had I had SPG Gold that came from the Amex Platinum. I matched that to Marriott Gold long ago. I have also had the Ritz card for several years but didn’t spend much of anything on it last year. Since I only had Gold via SPG, I only expected to get Marriott Gold in the new program. Because of that, I completed $10K spend. My statement cuts around the 20th of the month. I wanted to make sure that I hit $10K spend before my July statement cut for fear of the purchases coming in on July 27th, posting on my ~August 20th statement, and not getting old Gold (50-night status) in time before the merger. I made my last $2K in purchases to hit $10K a day or two before my statement cut. To my dismay, that last $2K in purchases did *not* post with my July statement. The charges posted a day after my statement date and therefore I did not get the points from those purchases until my August statement (after merger day). On merger day and for the next week, my status remained at Gold and I cursed the fact that I’d wasted $10K spend at 1x Marriott points on nothing. My wife, meanwhile, who only had Marriott Gold via match from Amex Platinum->SPG->Marriott moved up to Platinum status on merger day. After we had already moved all of the points from her account to mine. Ugh. I now had useless status and all of the points. She had useful status but not enough points to use. I the meantime, I did *not* yet combine my Marriott and SPG accounts in the hopes that I just needed to be patient and in a desire not to muck anything up further. But then, last Friday, the heavens parted and the skies cleared and my status magically moved up to Platinum. Despite the fact that Marriott has repeatedly told us that status would be good until Feb 2020 and I don’t at all doubt that, I called to ask when my Platinum status would run out just to see what the agent would say. As I would have expected/predicted, the guy just looked at how many nights I have this year (which didn’t include SPG since I didn’t link them) and he said that if I didn’t complete X nights this year, it would expire at the end of this year — proving to me that he had no idea what he was talking about and that he wasn’t looking at any sort of date on a computer screen, but rather thinking (as one logically would) that I need 50 nights this year to have status next year. He’s wrong. I fully expect that what Marriott’s team has told us is correct in that status will be good until 2020. So the end of the long story: There’s hope. It seems the IT is just moving very slowly. I’d give it another week or two before you panic. Hey Nick–I really appreciate the detailed response as I’m actually in the same/similar boat as you. I hit my $10K spend after my July statement ended, but before August 1. I actually saw my Marriott status at Platinum immediately after merger day (I’m assuming from my legacy SPG Gold matched status), but was downgraded to new Gold thereafter. That said, I’m hoping to see my Marriott status update from Gold to Platinum again, but will hang tight based on your experience. Everything seems to be a mess with their IT, so fingers crossed it’ll figure itself out as yours did. Thanks again!! I completed my $10K spend on RC in mid July and after spending 40 minutes waiting on hold with Marriott was told by a rep that I don’t qualify for the conversion to Platinum because I got gold through holding a credit card. I don’t think that she could distinguish getting Gold through Amex vs. through Chase RC. I think she is wrong (and she checked with her supervisor) but I’m wondering if this has to do with the card anniversary date. Mine is October 1st. When I spoke to Chase about the status change, I was told it happens up to 8 weeks after your anniversary date. Chase says they can’t help at all and that’s up to Marriott to fix it. Super frustrating. Barb, I am in the very same extremely frustrating boat as you. I obtained my RC card in 12/16 and relying on posts here and elsewhere I spent more than $10,000 on my RC card before July 2018 but my Marriott status post-August 18th has remained gold elite, and the Marriott Rewards agents I have reached over the phone have been uniformly unhelpful in getting this rectified, and even the JP Morgan Chase usually very helpful agent who called Marriott Rewards on my behalf was told the same thing MR told you. Of course the JP Morgan Chase agent was not in a position to plead my case. Hoping to get this sorted out in time to qualify for breakfast/lounge access on a trip to the JW Marriot Austin later this month. Had I put the spend on another credit card, I would have earned plenty of extra $$ value to put toward those breakfasts instead. Have you made any progress with Marriott HB Guest? Greg, in the article you wrote above, you reference that if you obtain a Ritz Carlton Credit Card before August 2018 then you will have platinum elite status until February 2020. Can you please refer me to where you found this information. I got the ritz card in July although Marriott is now saying that I only have platinum elite status until December 31, 2018. This is very frustrating since this is the main reason I applied for this card. It started with a face-to-face discussion we had with the VP of Marriott Rewards back in April and then the PR team he eventually included in our ongoing email conversation reconfirmed it several times between May and July. I wouldn’t put much faith in anything that any phone rep has to say about the transition. When I called and asked about when my status ends (just to see what they would say because I knew many readers would call), the rep just looked at how many Marriott nights I had so far this year and said my status would expire unless I did the difference between that and 50. He didn’t even consider the fact that I might have an SPG account that I hadn’t yet linked – which just goes to show me that the phone reps are under-trained on this. It’s possible that Marriott fed us incorrect information, but almost everything else they’ve said to us in the transition was accurate. I don’t expect this to be any different. Jim- I am in the exact same situation and have an email from a manager in Marriott “Corporate Guest Relations” that says I will be Platinum until January 31, 2020. I have put that email in a very safe place. In any case I think you’ll be ok too. That is reassuring. I’ll reach out to them and try to get an email to hold on to as well. I signed up for the card July 20. It was approved and the card actually reads valid thru 07/23 so was approved in July. The first charge on the account was the $450 annual fee on August 1st yet I am still at Gold. Do you think there is anything I can do about it considering I signed up before August? This card is the worst. Don’t expect any help from the Ritz or Marriott. I will be cancelling both of my cards. It’s a sham. Just another datapoint that I spoke to a phone rep back in September about the issue with my status based on the $10K spend met before August, but not converting from Gold to Platinum post-merger. The phone rep created a case ID for escalation for me, but I’ve yet to hear anything back and my status is still showing as Gold. The whole situation is incredibly frustrating. onversion. They seriously do not know how to handle this at all. And then in August another free (anniversary) night up to 50k points was added to the card’s benefits! Just now found this out, thx again Greg. The best card value of 2018. Just lost Platinum Elite status 2/1/19. I had signed up for the Ritz Carlton card and did the spend and was Platinum Elite. I even called Marriott several times and was assured I had Platinum elite status through 2019 and I confirmed through end of 2019. Now I’m being told I was given wrong information and they won’t honor extended Platinum Elite status. I have a stay scheduled for 2/3 and have been informed by the hotel that I no longer show as qualified. Any suggestions? If this is happening to me, I suspect it will be happening to everyone else that tried this strategy. The same just happened to me. Applied for RC card in 6/2018. On 2/28/19 I was Platinum, but today 3/3/19 I am Gold. Another DP that the following statement is not correct (or not being honored by Marriott). Greg – why are we being downgraded since the status should be valid through Feb 2020? Same here, was downgraded to Gold today. Got the Ritz-Carlton in July 2018 after seeing this post. I was just moved down to gold status as of today with ritz card. Renewal was last May and I had the 10,000 spend. I should have had platinum until 2020. What is happening to Marriott?! Took 3 hours last week for 2 reps (and a manager in-between who told me he had to call me back because his computer crashed, and he never did) to attach club level certificate to reservation because they are former SPG reps and not too familiar with the process. Was given 40,000 bonus points for 3 hours lost. I am really considering Hilton. The ritz brand is my only tie to Marriott. I dread calling them about this. I may lose my whole night! I was just downgraded to Gold. Got the Ritz-Carlton in July 2018. We are aware that many people got the Ritz card were downgraded to gold status in the last day. We’re actively following up with Marriott as this does not match what we were told. We hope to have an update in the coming days. Adding to the list of downgrades. After being on hold for 2 hours was told that status not earned through stays expired on Feb 28 and would not be extended. Total bull since I have 4 major Marriott stays this year. Hello, I have had the Ritz Card since 2016 and have spent over $10,000 every year to earn the Gold Status and I was also downgraded today from Platinum to Gold. I just wanted to point out that it’s also happening to people that had the card way before August 2018. I just got back from a weekend vacation. I checked in Saturday and was thanked for being a platinum member. Checked today and now I’m gold. Hope things get worked out or Ill be super bummed for my 8 night trip April. Question – if I add an authorized user, say my brother, and he use the credit card to book a stay at a Marriott property, does he receive the platinum benefits upon checking in? No. If you have Platinum status then the only guaranteed way to get Platinum benefits is for you to check in. At some hotels it’s possible to add someone (like your brother) as a second guest and ask that they be allowed to check in and they may get Platinum benefits even if you’re not there, but it’s not at all guaranteed.